RISE Youth of the Week is Adekunbi Adeoye from Nigeria. Adekunbi Adeoye is a smart, dynamic young lady and the C.E.O of SESEWA Support Services, a social enterprise driven by the passion to give direction to youths; to ensure that they perform at their best. SESEWA is best described as a movement for excellence and professionalism in the workplace. 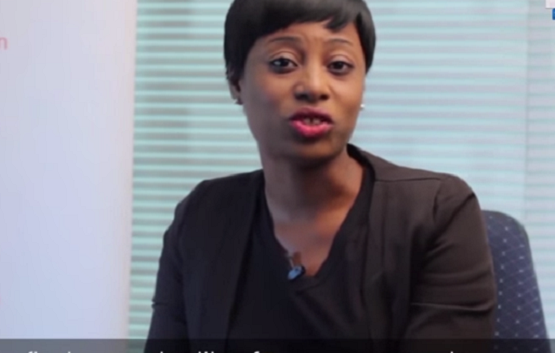 Adekunbi Adeoye is a graduate of law from the prestigious Obafemi Awolowo University. She is best described by her strengths and values; She is creative, enterprising, purpose-driven and committed to excellence and integrity. SESEWA is a Yoruba coinage, which means ‘SE ISE WA? – Is there a job?’ During her undergraduate days Adekanbi had an opportunity to take up an internship role with a Law firm and for the first time, she had the opportunity to work within a professional environment; and to make presentations in front of members of staff. She left that internship feeling so empowered. The internship experience spurred the desire to help other young people: undergraduates and graduates alike, so she thought to herself that it is imperative that every young person should get an Internship and that was how SESEWA was born. Her company, SESEWA is at the forefront of providing internship and career opportunities for Nigeria’s young generation and she is building a legacy for internship businesses in Nigeria. Adekunbi is a frequent speaker at youth events, and a big inspiration for young people in Africa. She is also a 2015 Mandela Washington Fellow. Adekunbi Adeoye hopes to expand SESEWA programs across several states in Nigeria and beyond to neighboring cities in Africa. Most recently, SESEWA has introduced another arm of its business which assists small and medium sized businesses attain systems and structures in their organisations through an effective human resource management.